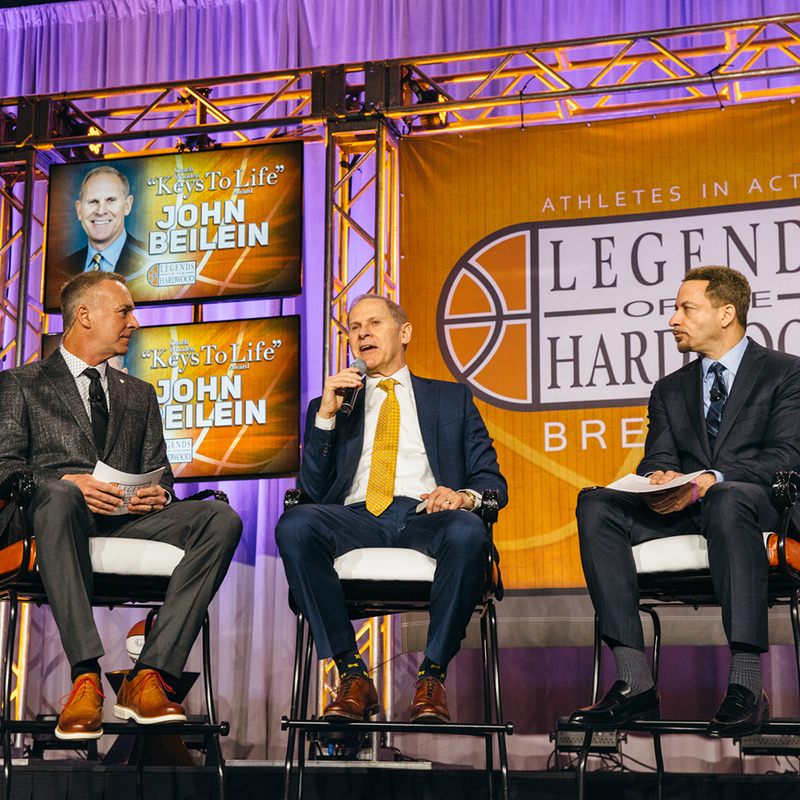 For the 23rd year, the Legends of the Hardwood Breakfast celebrated basketball role models who exemplify outstanding leadership, character and integrity. At the April 6 event in Minneapolis, Athletes in Action honored University of Michigan men's basketball head coach John Beilein, who has earned a spot in the top 10 for career victories among active Division I head coaches, while maintaining a reputation as the “cleanest coach in college basketball” (CBS Sports survey, 2017). Established in 1998, the Coach Wooden “Keys to Life” award — given this year to Coach Beilein — honors those who model the characteristics of UCLA men’s basketball coaching legend John Wooden, including his high level of moral character, integrity, and faith, on and off the court. Hosted by Athletes in Action during NCAA Final Four weekend, the 2019 Legends of the Hardwood Breakfast in Minneapolis featured Minnesota Vikings' Kirk Cousins; Minnesota Timberwolves' Anthony Tolliver; interviews with NCAA men's basketball Division I coaches and players; presentation of the 2019 Coach Wooden “Keys to Life” award; and Fox Sports analyst Chris Broussard and ESPN sportscaster Jimmy Dykes as the event’s emcees. A ministry of Cru, Athletes in Action serves in more than 200 colleges, 35 professional teams, and more than 65 countries. PHOTO ABOVE: Photograph courtesy of Mark Fierst.